After a long day of climbing around temple ruins, a relaxing foot massage or a reinvigorating afternoon at the spa can be just what the doctor ordered. Massage for health and relaxation is a time-honored tradition in Southeast Asia and Cambodia offers its own distinctive traditions. 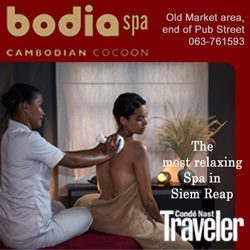 Siem Reap massage and spas range from storefront $6 foot massages to elegant international spas. 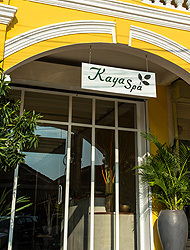 There are dozens of massage shops located across the town, though more in tourist areas such as the Pub Street area, along Sivutha Blvd through town and few up Sok San Road. 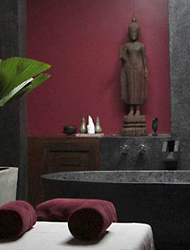 For a more upscale experience the spas in the finer hotels provide a refined, indulgent environment. 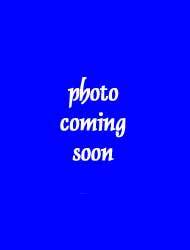 Reasonably priced massage and spa with several locations in the most popular tourist areas. One hour foot massage for $6, body massage $8, oil full body massage $10/hour. 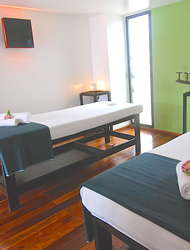 Khmer, Thai and Shiatsu style massage - back, foot, hot stone, bamboo, compress and more. Scrubs, waxing, pedicure/manicure. Cozy welcoming little spa in the Taphul area, offering a range of massage and spa services with the focus on relieving stress, boosting vitality and restoring balance. 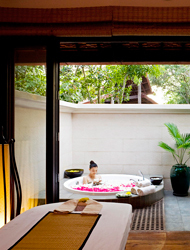 Khmer style massage, aromatherapy, deep tissue, body therapies and spa packages and more. Two locations. using 100% natural products. Excellent reviews. Recommended. 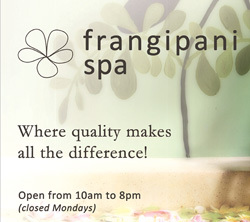 Boutique spa located mid-town a short distance from the Old Market. Fully air-conditions, relaxed, comfortable stylish atmosphere. Offering a variety of massage and spa services. Back & neck, tress reliever, 4-hand energizer, reflexology and more. Facials, manicure, pedicure, scrubs, waxing and spa packages. "Discover the ultimate body-and-mind relaxation in a peaceful environment." High quality traditional massages as well as special treatments (aromatherapy candle massage, facial mask, herbal compress, depilation,) by professional therapists using natural products by Senteurs d'Angkor. Massage and body prodicts available. Offering both wellness and relaxation therapies across all three of the Memoire group locations in Siem Reap, Memoria offers a comprehensive menu of treatments and relation therapies for everyone. Affordable, full service massage and spa on Sivutha Blvd at the corner of Night Market Road. Foot massage and body massage from only $4 and $5 per hour. Variety of massage styles and types available: Khmer, Thai, Ayurvedic, foot, back, head, body, oil, aromatherapy, hot compress and stone. Spa services include manicure and pedicure, scrubs, waxing, and somewhat uniquely, traditional Khmer cupping. Two central locations just off Old Market & Pub street. They offer a long list of varying treatments from massage, body scrubs, facial treatments, nails and waxing. Prices are affordable with massages starting at $10 for 60 minutes. Full service international spa and massage. Proffering a holistic approach to beauty and relaxation. Massage styles include Thai, Swedish, deep tissue foot massage and aroma therapy. Scrubs, wraps and packages. 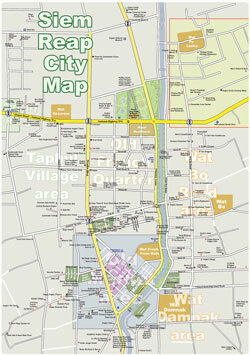 Located at the corner of Oum Chhay St, behind the Central Market in the middle of town. 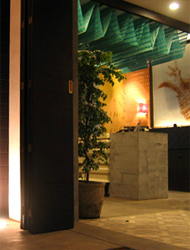 International spa with nature inspired décor and a soft, warm and tranquil atmosphere. Khmer and Swedish massages, treatments, scrubs, wraps, facials, packages. Very affordable massage and spa in the heart of Pub Street, near the very popular Temple Balcony. One hour foot massage for only $6. Full range of Khmer style massages including full body, hot stone, four hand, aromatherapy and more, all at budget friendly prices. “Calm is essential.” Saltwater pool, aromatherapy alongside a relaxed poolside atmosphere, body massage and treatments, facials, scrubs, wraps, aqua therapy, manicure, pedicure and more. 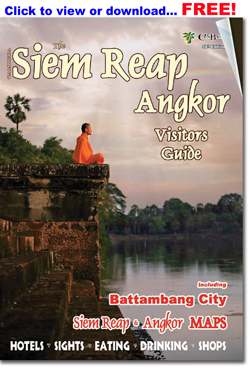 Located at the FCC Angkor. Some of the spas listed above also offer hair salon services, as do a few of the 4 and 5 star hotels. For a local experience there are several local barbers and salons clustered town center along Tep Vong Street near the Angkor Children’s Hospital. There are also a number of small, stall-style women’s hair salons inside the Old Market. Alley West, Siem Reap, Cambodia. Combining LexRoulor's Tattoo Shop and a Hard-Rock Metal Pirate Tavern. The team consists of 3 artists and 1 piercer. The French, Russian and Chinese artists cover most styles: dotwork, geometric, watercolor or realistic. The Australian certified piercer can put a hole in every single part of your body, and also masters dermal insertions. Promising western hygiene standards. 10AM-Late. Professional (local) Khmer tattoo artist since 2001. Tattoo by gun or by the traditional bamboo method. Hygienic, clean, safe & healthy. Good quality ink from USA and Japan. Using all disposable grips, tubes and needles, single use. Long-running, well-known, well-reputed and respected tattoo studio from Phnom Penh (since 2005), now with a branch in Siem Reap. 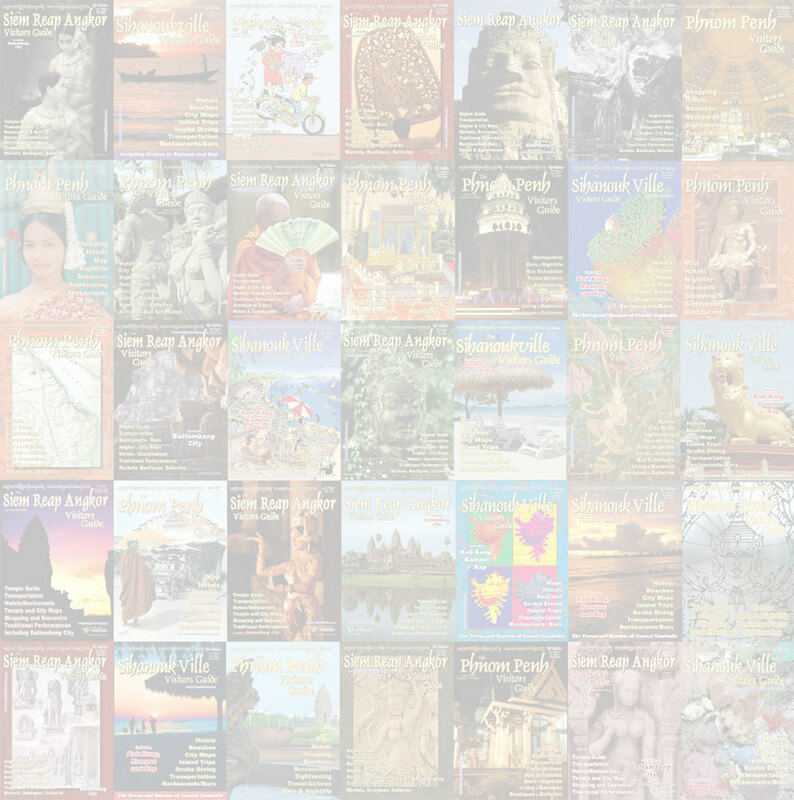 Professional Cambodian and international tattoo artists. Hygienic, clean and safe with all modern equipment. Fully air-conditioned studio.